History shows us that each bubble needs a tragic muse. The Nasdaq Bubble had both the allure and fear of a new millennium. Y2K was on one hand a software and infrastructure motivator, as well as a philosophical romance; drunk on the notion of a new era that would transform all that we understood and perceived about the world through technology. With gold and silver today, it's just as manic, evermore disturbingly romantic - and really just plain dark. It's a bubble with a raging mood disorder. At once both manic and depressive. Currency debasement! Manipulated markets! The experiment that was the fiat monetary system is over! Raging inflation is coming! The private sector stopped spending - the government filled the gap. And although it is quite true that our current fiat monetary system is inflationary over the long run, the degree of distortions that are currently being reflected in both the precious metals market, the commodities market and the currency markets - likely do not reflect a representable correlation to inflation today, but more of a serious bubble in the commodities sector. I believe this minority opinion will prevail in the not so distant future as we emerge from the crisis relatively intact, albeit bruised nonetheless. FT/Alphaville had a very interesting piece detailing the work from the boys at Deutsche Bank - that succinctly describes what I believe has been a massive misinterpretation by the risk trade into the commodity and currency markets. "The $2 trillion in purchases have literally gone down a black hole. Required reserves haven't been required to increase and the Fed reserve add has literally simply been hoarded as cash. Excess reserves at the Fed have subsequently soared by the same. In short, QE has been a spectacular disappointment in its impact on bank lending, whether via whole loans or securities. It was as if the banks conducted the very sterilization of QE that many thought perhaps the Fed should do to "contain" inflation expectations. 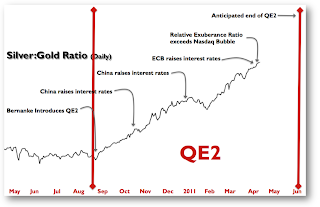 Risky security prices have risen since QE but not Treasuries, the main instrument of QE2. 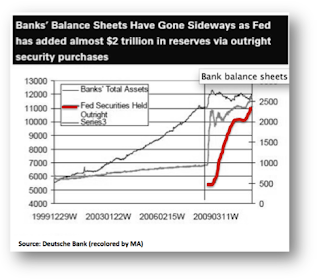 Yet banks' balance sheets have gone sideways. Effectively investors have marked asset prices higher by the Fed from an investor simply triggered a series of deposit for security switches through the investor base with banks never making an additional loan. 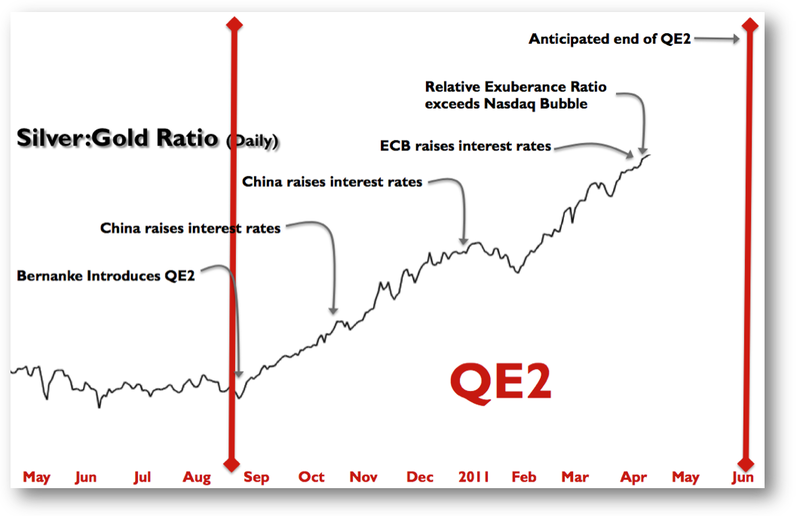 This is consistent with a greater concern for risky asset post QE2 end, than Treasuries. The danger for investors is that they confuse the result of higher asset prices as reflecting excess liquidity rather than "irrational" exuberance given that actual liquidity (as broadly defined by the banking system) hasn't gone up at all. - Dominic Konstam and Alex Li, Deutsche Bank"
While I agree with their descriptions of a rather large miscausation within the risk trade, I disagree with their disappointment with bank lending. Once critical mass arrives in the economy - bank lending will resume a glide path towards normalcy. Post financial crisis, both the private and government sectors perceive critical mass through the lens of the stock market - not lending. To their detriment, economist always seem to forget the psychological perspective to the argument. It is why accurate market forecasts are a hybrid discipline of both art and science. Personally, I would never advocate the path that the Fed and Treasury have embarked on in the last 40 years. However, to the best of his ability, Bernanke has utilized the tools at his disposal to mitigate the collateral damage to the broader financial system. I like Ben Bernanke, I really do. Don't hate me because I chose the unpopular position - it's an inherent character trait. During these contentious times, I think he is about as balanced - without ego, smart and creative as we could hope for in a central banker. The pundits will always use every opportunity to argue his ignorance towards what they perceive as practical banking methods and how they should function during ideal market conditions. They will cite example after example, such as his downplay of the subprime crisis right before the broader credit crisis erupted, as proof that he is unfit to lead the worlds largest economy. And although he surely deserves criticism towards aspects of his communications and transparencies with the market, the net result of his bold monetary approach has been a system that avoided catastrophic failure and recovered much faster than almost anyone predicted. And while I would never willingly choose the Too Big To Fail paradigm, it has facilitated the efficiency and efficacy that the Fed could respond to illiquid market conditions. Granted, the crisis was magnified by the Too Big To Fail model, but the rapid recovery was also a direct result of their size and scope and considerable bandwidth within the global economy. Dealing with only a handful of mega banks with very similar infrastructures is infinitely easier to navigate and dispense stopgap capital, then thousands of separate and smaller entities with disparate business models and means of capital conveyance. No doubt about it, it's a house of cards in the right market conditions, but it also can be utilized to neatly reflate a deflationary market environment in a crisis. With that said, there can be some rather large side effects of operating capital within such a dynamic system - even if they are just figments of the markets imagination (see below). Since I last checked in on the state of the precious metals market (a whopping three weeks ago - and 400 posts before Silver Bubble Mania hit the blogosphere), the silver bullet train has continued its ascent higher - in what I like to refer to as its quest for its ephemeral peak. It's not a matter of if, it's a matter of... yada, yada, yada - you've heard it all before. It is a very crowded topic to broach these days. Definitely a bit disconcerting from a contrarian perspective, if you are positioned on the opposing side of the plate. You may ask, why would anyone ever willingly step in front of a train such as silver? I'm smarter than the market; I'm smarter than you; therefore...(insert tragic personal anecdote here). It's typically a widow maker towards your net worth. Trust me. 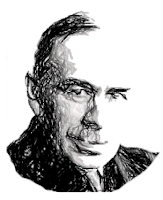 We all know, as so eloquently stated years back by the godfather of our modern fiscal debate, John Maynard Keynes, "that market's can remain irrational longer than one can remain solvent.". 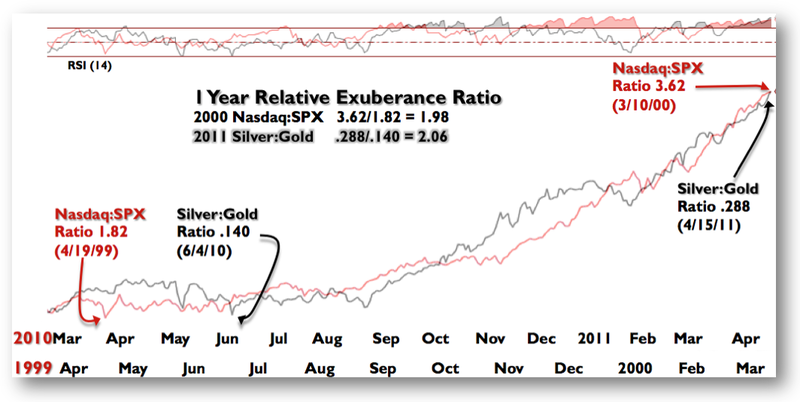 With that said, there are a number of reasons - both fundamentally, technically and psychologically speaking that silver's historic rise is running out of motivational propellant. The crescendo of central bank fedspeak towards quantitative easing exit strategies and inflation concerns has reached a dissonant pitch in the market. What's the old market axiom, "Buy the rumor, sell the news"? Well the news flow has been absolutely tidal towards inflation expectations as of late. Internationally, the drumbeat from China has been as steady as Ringo's right foot in Come Together. They have raised rates twice since October, and just yesterday, their central bank governor declared they would continue to raise rates, "for some time". Meanwhile, the ECB has eschewed Bernanke's willingness to give the markets the benefit of the doubt and have followed rhetoric with action. Domestically, the inflation debate has intensified, and although the governing powers that be have yet to align a concerted approach towards addressing inflation expectations - the wheels are in motion and proceeding along that path. Two days ago, it was Fed Governor Plosser declaring his concern with "choreographing" an exit strategy towards quantitative easing. Moments before, it was Federal Reserve Bank of Richmond President Jeffrey Lacker stating his concerns with the, "need to heed the lesson of the last recovery that inflation is capable of rising even if the level of economic activity has not returned to its pre-recession trend.". Technically speaking, the silver market is as exuberant as the Nasdaq was in March of 2000. I also like to look at the monthly charts as an apples to apples comparison of these two historic bubbles. For comparison, I bracketed both the Y2K hysteria trade in the Nasdaq and the current QE2 trade in silver. 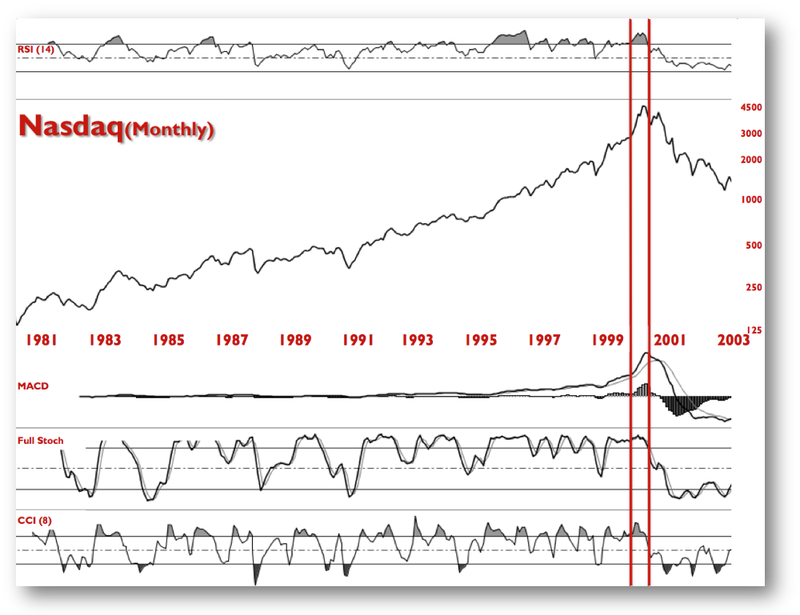 The RSI, MACD, Full Stochastics and CCI have all exhibited very similar artifacts of manic market conditions. 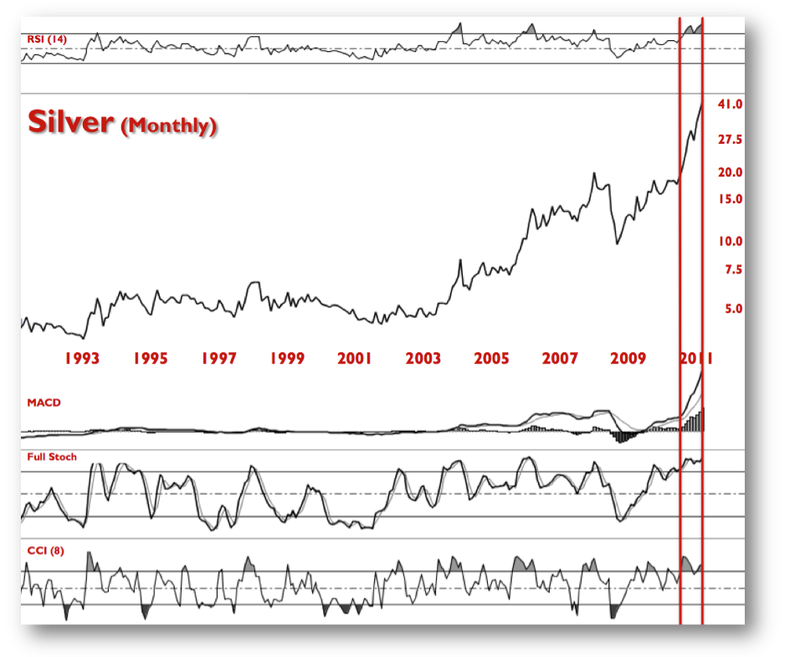 Namely, a slope as steep as the current monthly MACD for silver is almost always immediately followed by only one phenomenon. Not a correction or consolidation of trend. 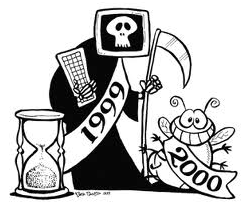 The Nasdaq had Y2K as its tragic muse. Silver, and by extension the entire commodity sector, has QE2. It's ending in one month. Best look for a seat before the music stops.